The fifth installment of our Harder Rock Review feature focuses on some choice new metal and spotlights albums and EPs from Essential End, Excruciation, Mad Hatter’s Den, Slammin Thru, Vyces, War Gods of the Deep, and a featured video by ParanoiR. 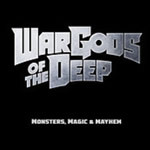 A hard rock / heavy metal band from Chicago with a classic eighties style, War Gods of the Deep released their debut EP, Monsters, Magic & Mayhem, in 2016. Here, we get a succinct sampling of this group’s potential. 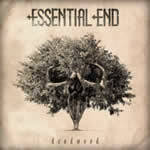 York, Pennsylvania is home to Essential End, a multi-generational act with a definitive vision and a crisp, solid sound. Their EP Deadwood features great production with rudimentary musical execution and some melodramatic themes. 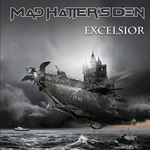 Mad Hatter’s Den is a melodic heavy metal band from Finland who have recently released their second album, Excelsior. As the name implies, they aim for new heights and do so with great sonic quality, strong vocals and a strategic use of synths to complement and add an edge to the instrumental passages. “FM” music video from the EP Radio Silence by Thessaloniki, Greece group ParanoiR. 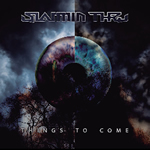 Slammin’ Thru employs a raw but energetic sound on their album, Things to Come. These musical veterans from Galicia, Spain make well use of rhythmic rudiments and achieve a unique overall vibe which makes this well worth a listen. 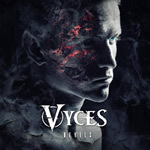 LA group Vyces released their debut EP, Devil, last year. This modern day “super group” features former members of Breaking Benjamin, Heart-Set Self Destruct, Old Fashioned Beatdown and Phantom Communique. 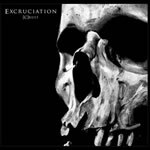 Crust is an album with a sound that is at once doomy and fresh. This latest effort by the 30-plus-year veteran thrash-metalers from Zurich, Switzerland explores various tempos and techniques to make for an interesting record. Stay tuned for the next installment of Harder Rock Review! Modern Rock Review’s look at six new metal-flavored album and EP releases and a featured hard rock video, published on August 28, 2017.